I had a 5 star experience with Dr. Cohen and his staff. Everyone was very friendly and informative. Dr. Cohen preformed my root canal at 11:00 in the morning and I was able to enjoy a fine dinner with absolutely NO pain that evening. It is especially nice to be able to have a Saturday appt. Their office and all equipment is state of the art and I wouldn't hesitate to recommend Dr. Cohen to anyone needing an Endodontist! 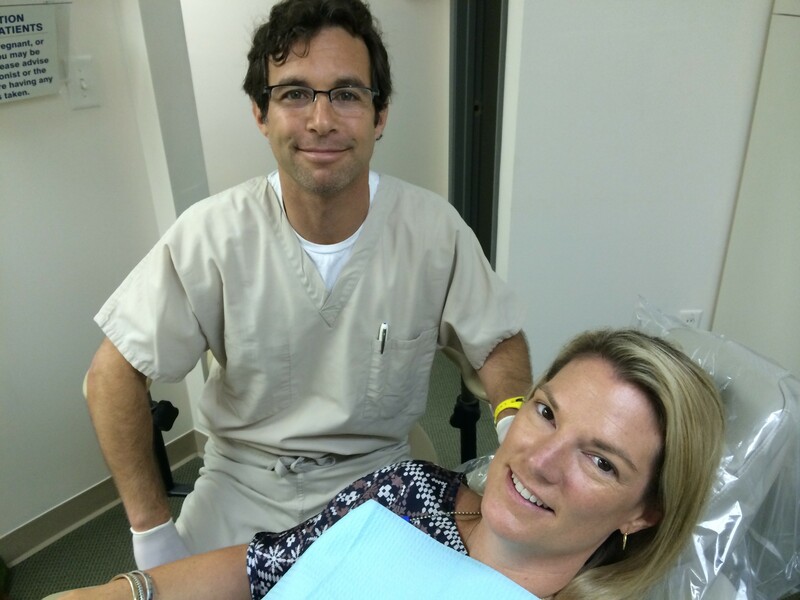 Dr. Cohen is the most straightforward and attentive endodontist I've experienced. He genuinely cares for his patients and his professionalism puts you at ease. I would recommend him to everyone. Dr. Cohen is the best! He fixed a tooth that had a failed root canal treatment. The surgeon had told me it needed extraction but Dr Cohen knew how to help me save it. Dr. Cohen is an incredible dentist. Several months after having a root canal procedure, my general dentist noticed it was failing I was told by both doctors that nothing could be done and to have the tooth extracted. After seeing Dr. Cohen for a second opinion and then for treatment to properly repair the previous work, I still have my tooth! Thank you Dr. Cohen! I am so grateful to Dr. Cohen for saving two teeth for me. Not only was he kind and gentle but he allowed the kids to have some fun, easing their fears about the dental office. I used to dread the thought that I might one day need root canal work. I remember a friend once told me about her experience. She said that she would rather go through labor than have a root canal done! Other people have expressed similar sentiments to me. Then it came my turn. Upon meeting Dr. Cohen, one is put immediately at ease by his sincere demeanor. Even his administration of Novocain is not an unpleasant experience. Dr. Cohen was patient and gentle. I really appreciated this. During the root canal procedure I did not experience any pain . And the only medication I needed afterwards was Ibuprofen. I hope I don’t need any more root canal work but if I do, I will not hesitate to go back to Dr. Cohen. I highly recommend him to anyone who needs root canal work. Dr. Cohen and his staff show a genuine care and concern for their patients. First of all, he stayed late on a Monday night just to see me. I was extremely nervous going into the office knowing I had to get a root canal. Dr. Cohen immediately put me at ease by identifying where the pain was coming from and taking the quick steps to relieve the pressure (and my pain.) After my initial visit, he was very responsive to any questions I had by answering emails/text at night, on the weekend and even on a holiday! I highly recommend Dr. Cohen to my friends, clients and business associates. He goes above and beyond any expectations. Let's face it, who wants to go to the endodontist? That was my reaction until I went to see Dr. Cohen and his staff. The amazing part of my dental work is not how painless the procedure is but more how I am treated. Dr. Cohen explains thoroughly what will be done. His expertise is evident and he gives constant reassurance that I am o.k. His assistants make a nervous wreck, like me, very much at ease. Never did I think going to the dentist would be so easy! 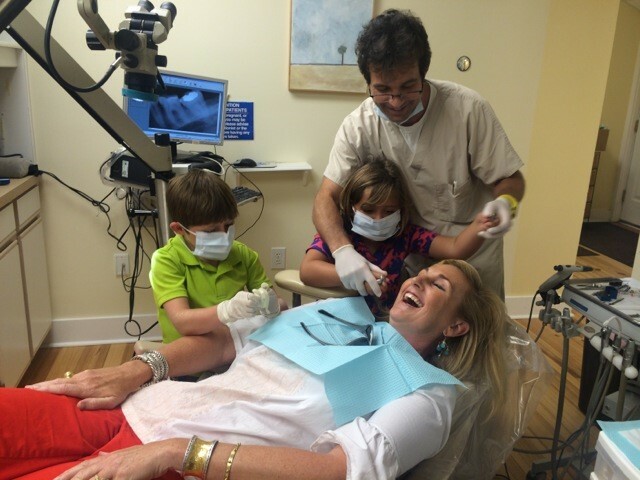 Thank you, Dr. Cohen and staff–you are the best! As a child my mother often told me not to crack pecans and ice with my teeth. Now, I am a regular with Dr. Cohen. Fortunately, the visits are always painless, professional, and very calming. I trust what he and his staff tells me and feel the necessary work is diagnosed correctly, completed quickly, and with the least amount of discomfort. The care for patients and the follow-up attention cannot be surpassed by any dental office in the Trident area. I went to Dr. Cohen 10 months after having a root canal by another endodontist. I was still experiencing pain in the tooth and was very discouraged because the endodontist told me everything appeared to be fine with the tooth and there was nothing more he could do. I had telephoned his office and emailed him with a question about a new treatment I had read about and they never responded back to me. A co-worker then recommended Dr. Cohen saying he was excellent, and she was right. Dr. Cohen successfully (and painlessly) re-treated my tooth and I am no longer experiencing pain in that tooth. I have nothing but positive things to say about Dr. Cohen and his staff, I highly recommend them!